Good value when compared to similar premium off-road estates, strong performance and impressive refinement from both D4 and D5. Excellent seats are ideal for long distances. 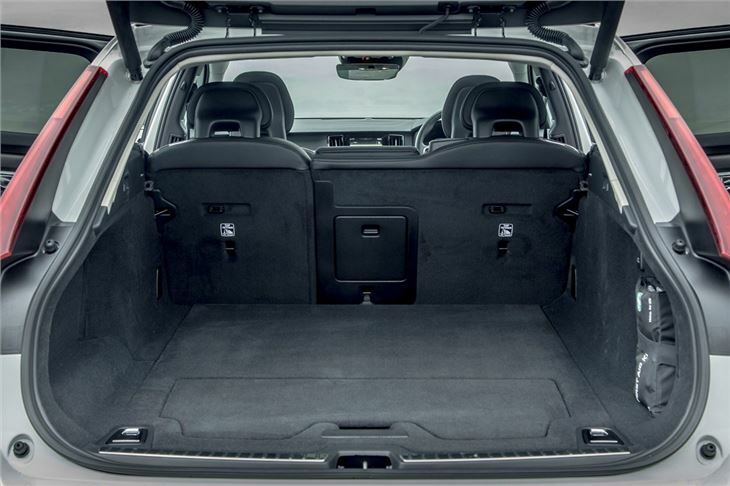 Standard boot space isn't as big as a Mercedes-Benz E-Class All-Terrain. 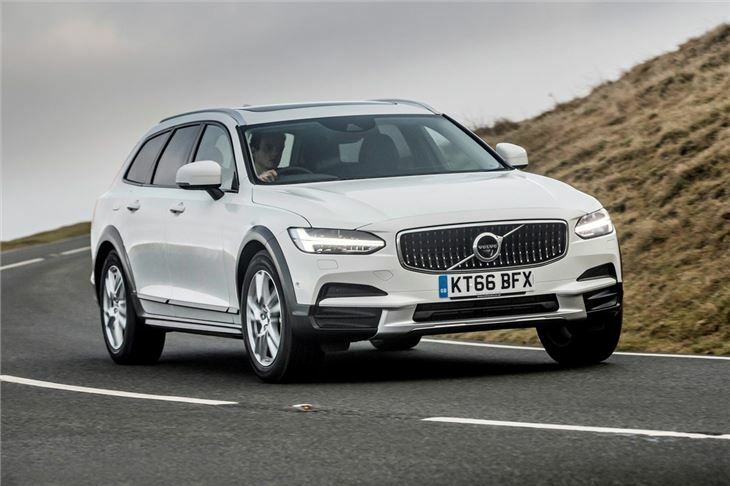 It may have a slightly more convoluted name, but the V90 Cross Country essentially replaces the XC70 in the Volvo line up. Now that XC moniker is only used for SUVs. So where does this V90 fit in? 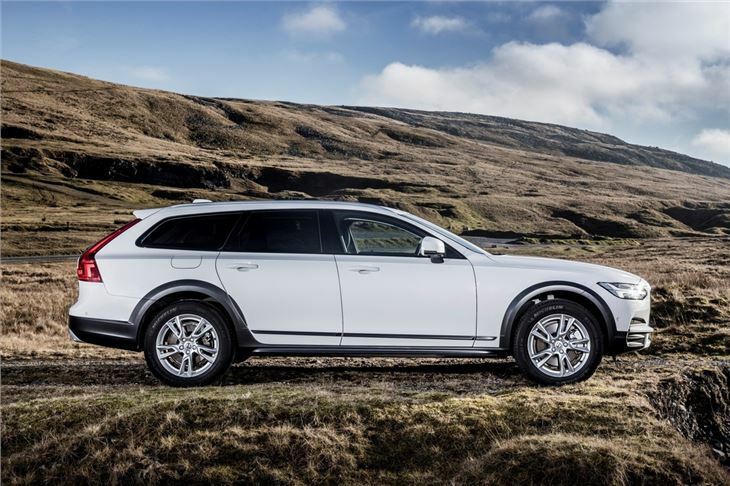 Well it's a more rugged off-road version of the V90 with a raised ride height - a rival for the likes of the Audi A6 Allroad. 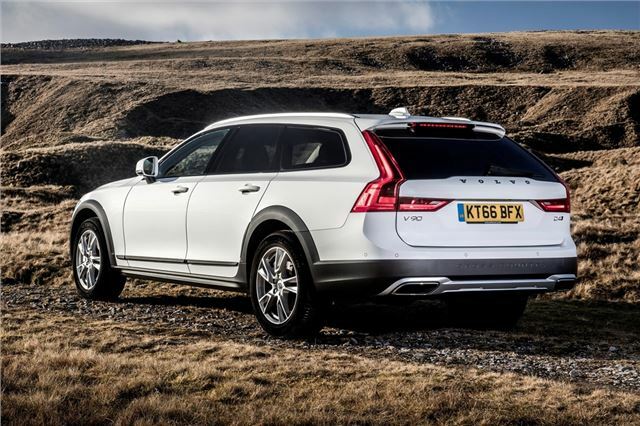 And with the latest generation of Volvo models now good enough to be seen as genuine premium cars - it's a realistic alternative to the likes of the Audi and Mercedes-Benz E-Class All-Terrain. But where it has those two beat is on price. The V90 Cross Country starts at £40k new whereas the cheapest A6 Allroad is more than £47,000. It's well equipped too with dual-zone climate control, heated front seats, navigation and a bright 12.3-inch colour touchscreen among the standard specification. While it may not come with a 3.0-litre engine like the Audi, the 2.0-litre diesel that's used in both the D4 and D5 models is one of the best diesels around. It's quiet, smooth and delivers excellent performance for its size. In fact, the D5 is so good that it's often easy to forget it's only a 2.0-litre four-cylinder diesel. Official economy looks promising with a figure of more than 53mpg for both versions, so expect around 40mpg in real world driving. 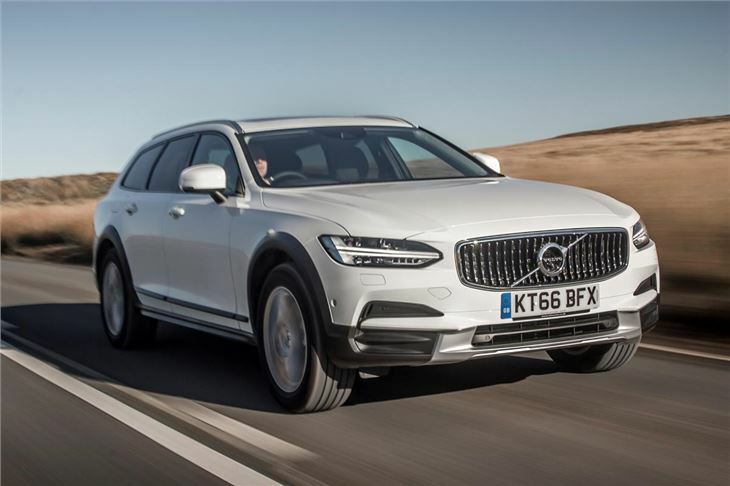 While it has four-wheel drive and rugged bumpers, the V90 Cross Country is no proper off-roader, but it does have a higher ride height than the standard V90 and makes an excellent tow car with the power to haul a 2.5 tonne braked trailer. 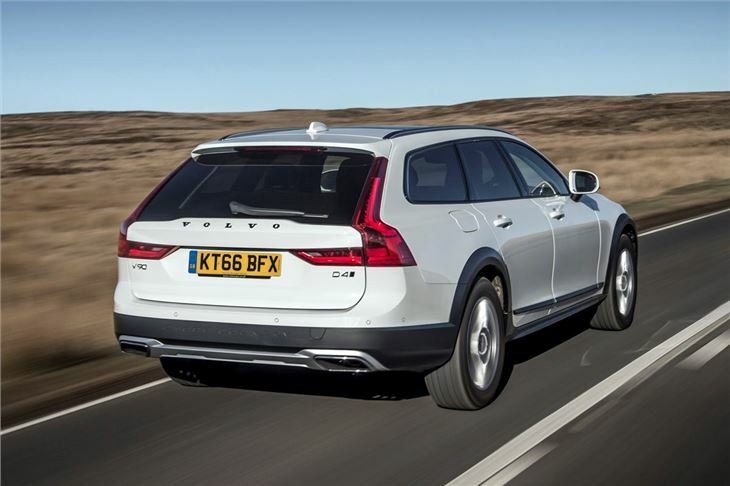 The raised ride height means the Cross Country isn't as good in corners as a standard V90 but it still drives extremely well with plenty of grip and a reassuring feel through the steering. The impressively comfortable seats and well insulated cabin make this an ideal motorway car too. Only the ride lets it down somewhat. It's on the firm side due to the tougher suspension and so is susceptible to the occasional jolt as it crosses potholes. The standard V90 rides better. But this is only a minor criticism of what is a very accomplished and impressive estate. 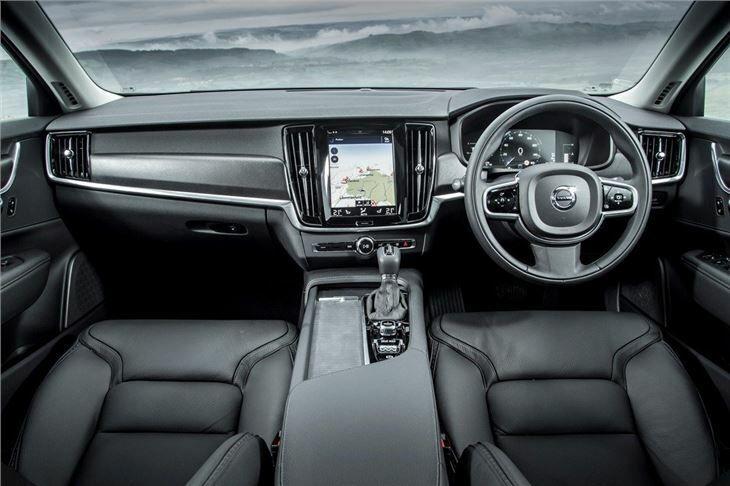 The interior is a real strong point with a high quality and solid feel mixed with a minimalist Scandinavian design. The huge iPad-style touchpad in the dash adds to the feeling that this is a car with modern tech on board. And one that's easily good enough to rival its premium competition.